Item # 315642 Stash Points: 14,300 (?) This is the number of points you get in The Zumiez Stash for purchasing this item. Stash points are redeemable for exclusive rewards only available to Zumiez Stash members. To redeem your points check out the rewards catalog on thestash.zumiez.com. Finish your sunny day style in the Frogskins Lite Snapback Navy Sunglasses from Oakley. 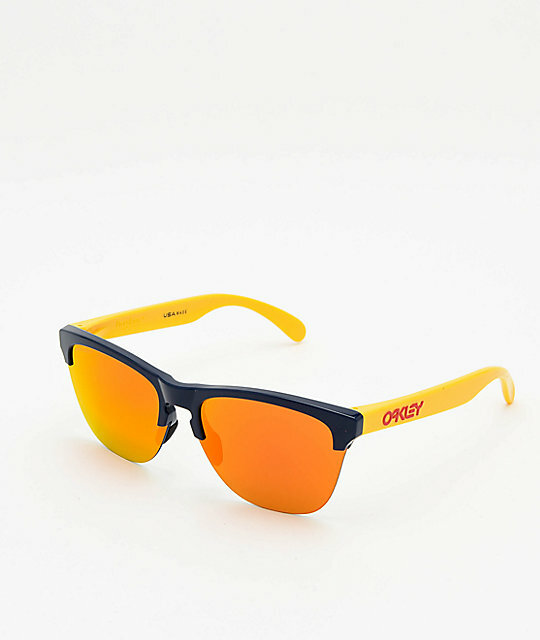 The Frogskin Lites feature a navy blue frame with yellow arms with red Oakley logos. A sleek design offers a fashion-forward look, while the Prizm Red lenses protect your eyes and offer enhanced clarity, keeping your look and field of vision on point. Frogskins Lite Snapback Navy Sunglasses from Oakley. 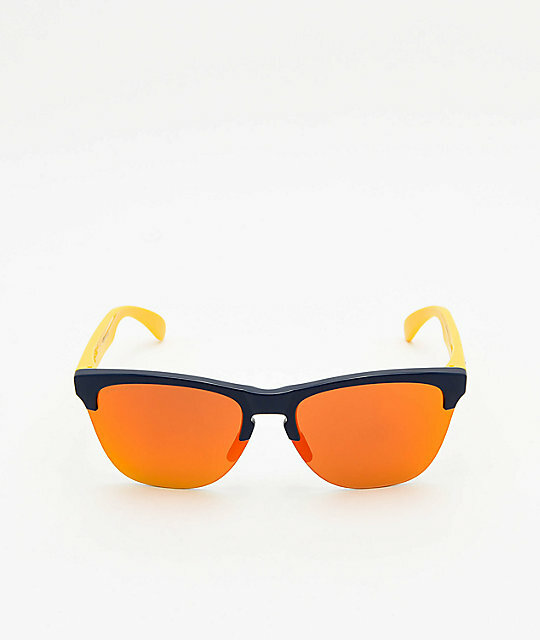 Navy blue, lightweight, stress-resistant O-Matter frames with yellow arms. Three-point fit provides precise optical alignment and eliminates pressure points. Unobtainium nose pads increase grip. Standard fit frame best suited for medium to large faces. Prizm Ruby lenses control light transmission resulting in colors precisely tuned to maximize contrast and enhance visibility. 2-year limited warranty against defects provided by the manufacturer.